Hello friends…how are you all? Today I am giving you an interesting software to make animation files in gif format. This is small software of 5.5 MB. 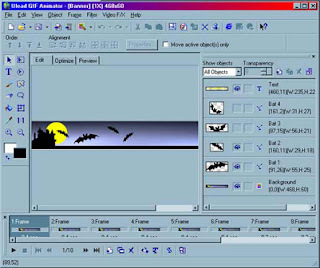 Name of the software is Ulead GIF Animator. You can complete the task through drag and drop method and can have amazing effects. Besides text effects, you can attach video effect also! This is portable software; you do not need to install it. So friends… keep creating animation file!! !